Alderney is the third largest and the most northerly of the Channel Islands. The Island is an independent British Crown Protectorate and a constituent part of the Bailiwick of Guernsey. It is governed by its own assembly, the States of Alderney, comprising ten members and a President, all of whom are elected by the people. Alderney is not part of the United Kingdom and is not a member of the European Union. The Island is some three and a half miles long and one and a half miles wide. It has a resident population of around 2,000, increasing during the summer months to peak at around 3,000 during Alderney Week, the Island’s annual festival which occurs during the first week in August. Alderney is surrounded by some of the potentially most productive tides in Europe. Recent data is shown on the map below. 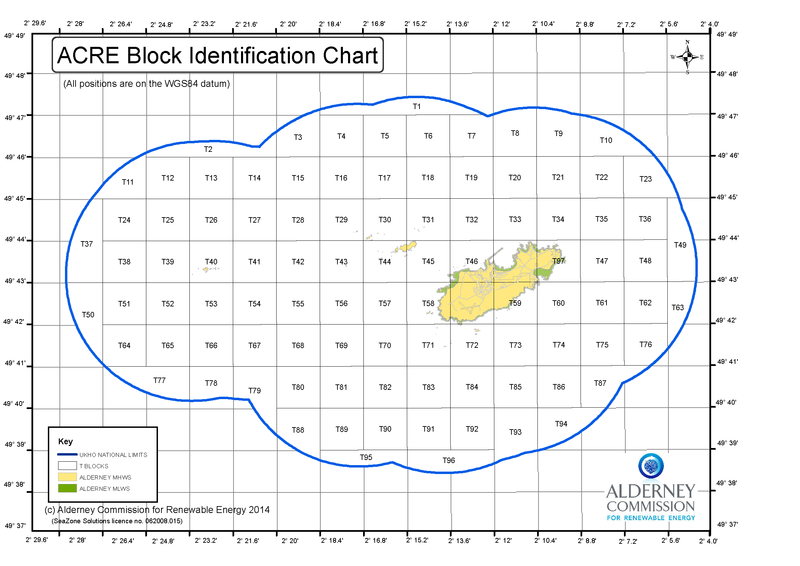 Alderney owns the seabed out to three nautical miles from its baselines, covering over ninety square nautical miles of accessible tidal flow and is in the process of claiming economic rights out to twelve nautical miles, covering nearly 500 square nautical miles of accessible tidal flows. The Commission offers simple but robust licensing and consenting arrangements to developers. 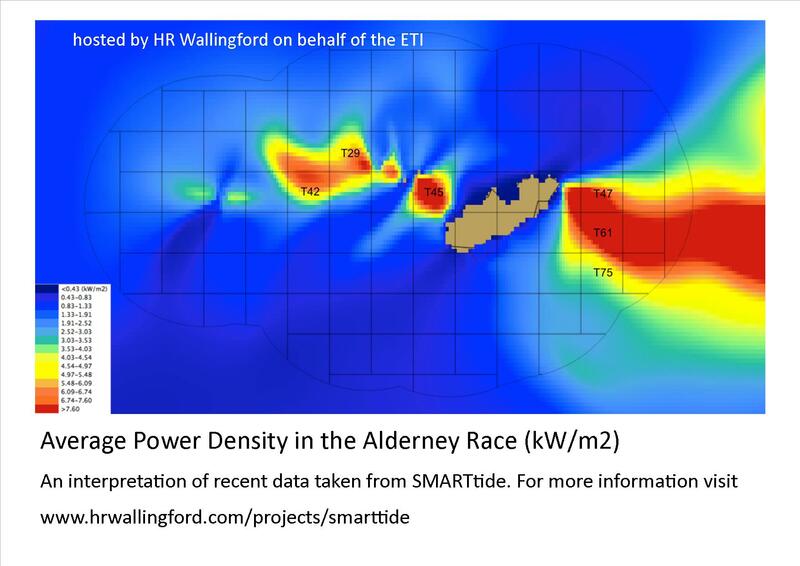 Alderney has the second largest tidal resource in North West Europe as demonstrated in the map shown below. Independent estimates of the energy that could be harvested using current technology from tidal flows within the 3nm limit range from 1GW to 3GW. An interconnector from France via Alderney to Britain (Fab Link Ltd) is planned for connection in 2020. This direct current link (1400 MW capacity) aims to strengthen the interconnection capacity between France and Britain and provide an export link for marine renewable energy projects in Alderney`s waters.